Content manager and content marketers lives can get a bit hectic. They spend a lot of time identifying what is seen as relevant and valuable content, in relation to their product, with the intent of changing or enhancing consumer behavior. That is content marketing and the belief of this marketing strategy is that if you help increase the intelligence of your consumer base by putting more information in front of them, valuable information, then they’ll reward you with their business and loyalty. This often requires long hours of internet research to find what is considered relevant and valuable information that will elevate your target audience, putting together posts that have both great content and great visuals, and doing it on a consistent basis. These are 15 free content marketing tools that will help you deliver that amazing content to keep your customers coming back for more. Let’s face it, content is always great to have, but human beings are visual creatures. “I’ll believe it when I see it,” didn’t become an adage for no reason at all. There is universal truth in that statement, which is naturally understood. Consumers most often prefer to be shown, not told, about the features to help them best make their decision, or to increase their knowledge of your industry, niche, or products. This is where screenshots or how-to videos come in. These are the tools to help you with them. 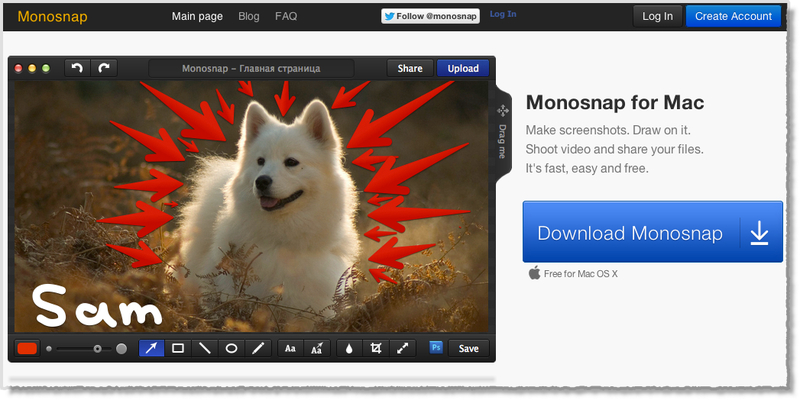 Awesome Screenshot is actually a plug-in that is created based on Google Chrome, but also can be used in other popular browsers such as Mozilla Firefox and Apple’s default browser Safari. Its stand-out feature is that it’s built-in to the browser, so if your work or product is internet based (what isn’t now a days? ), it’s easier to utilize this tool than one that needs to be downloaded and ran separately. The most important part of all content marketers’ job is the content. This is the bread and butter; the chicken & the gravy. Without professional, accurate, knowledgeable content delivered in an easy to understand manner, there is no work. There will be no consumers seeking out your company’s service or product. Ultimately there is nothing without content. Here are the tools to make sure your content meets all these criteria, or if you have difficulty generating content, resources that will help you do so. Paper Rater is a Natural Language Processing engine that runs behind Paper Rater is the stand-out feature of this website. It not only checks for plagiarism but it seeks to improve the writing of the author by avoiding false-positives on grammar detection which happens a staggering 50% of the time with other technologies. Essay Mama is different from paper rater, whereas instead of checking your work, you can purchase essays or content from writers who hold Master’s degrees and PhD’s in their field. If you have a large enough profit margin for your business, and think having 100% original content from experts in your industry will help boost the value you give to your consumer, then Essay Mama is the place for you. 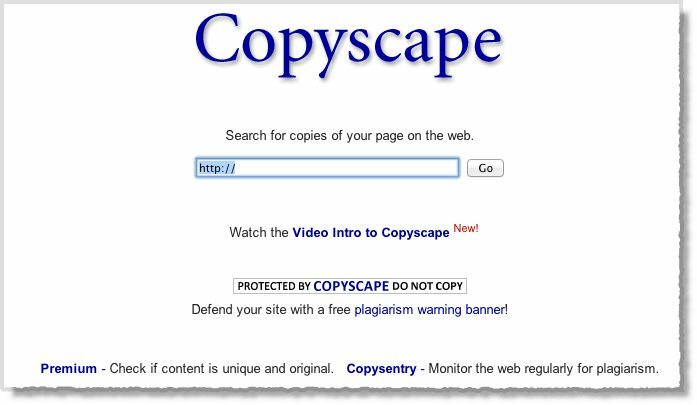 Copyscape allows you to protect your content by seeking for exact copies online. It’s been ranked #1 by independent tests as the most powerful and most popular plagiarism detection software. You can purchase Copyscape premium for upgraded features; therefore, unlocking the full power of the plagiarism detection software. Copysentry is the second feature of Copyscape Premium, which automatically scans the web daily or weekly and e-mails you if any copies of your content are found. Beyond the penultimate, valuable content, with how-to tutorials and/or valuable screenshots, consumers want to know that their decision of utilizing your website for valuable information is the correct one. Having a great web design and utilizing images, helps increase credibility, and build your brand. Here are a few places to help make this component of your content grade A.
Embed content within your images with ThingLink, from product descriptions, links to purchase pages of products, tell the story behind the image, etc. all to increase your click-through rate and increase consumer interaction. They offer real time analytics of consumer engagement, and can even make a ThingLink image an interactive App on Facebook. Utilizing ThingLink is sure to increase consumer engagement. 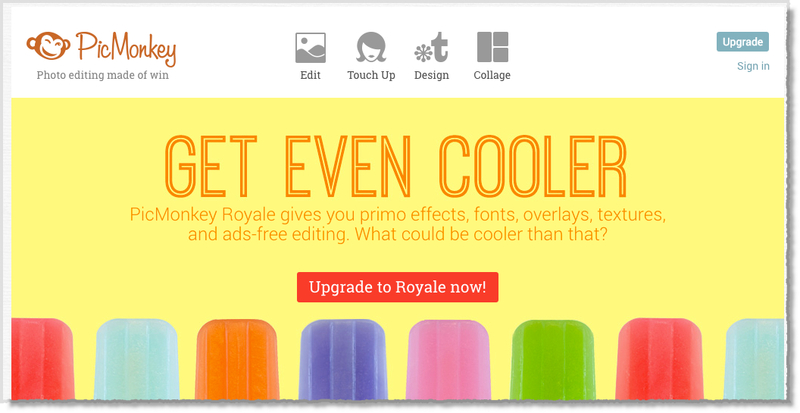 Canva is a design tool that was founded by a design visionary to take as much hassle out of design as possible. Design software has been complicated from the beginning and can take weeks to months of trial and error before you achieve your desired result, even if you do. Utilize Canva, and you can create beautiful designs with the simplicity of their stand-out, drag and drop feature. The designs can be made for web or print and covers things such as flyers, presentations, Facebook covers, blog graphics, business cards, posters, and invitations. PicMonkey has a bunch of cool things going on with their team, which includes a monkey of course. Their features include Touchup, which users can utilize to get the best look out of their profile pictures. They also have a photo editor, loads of collage templates, and graphics that can be used to customize the design for your brand, product or service. What is standout about PicMonkey are the tutorials that they offer for support. So not only do they provide you with the tools for free, they teach you how to use and get the most out of them for free as well. Fonts, not just any fonts, but creative ones, help to create the creases and ripples in your brands fingerprint. If chosen correctly, and adhered to, it will help separate yourself and give you a more defined brand identity. These are a few sites that offer free, downloadable fonts that you can use as your brands namesake. Either if you know it or not, Dafont has been around since October 15, 2000! Pushing on their fourteenth year anniversary is only a testament of how longevity favors simplicity. You can easily find fonts either via alphabetical order, or type and in a few clicks you can have it downloaded and running in your program of choice. Use their FAQ and Forums for help getting your newly acquired font, into the software or website where you want it. They also have a tools section which advertises purchasable font software. Google just seems to find any and everything they can capitalize on, and then do it. Here is another example of their subtle monopoly into every possible online frontier imaginable. With over 600 font families, Google Fonts makes it just three easy steps before the font is running on your website. The standout feature is simply that – the Open Source CSS font code is already prepared and easy as adding it to your website in seconds. If you haven’t seen an infographic, you’re not with the times. These are graphic visual representations of data or information that’s intended to present information clearly and quickly. The tools for video creation will be beneficial for the content manager who needs to make more than just a five minute how-to by using a tool like Jing. Never made an infographic before? This is the tool for you. Hit the ground running with your choice of 100, fully customizable themes, a library of over 1,000 images to use or upload your own and share it with as many consumers you can reach. How many more consumers could you inform if you were spreading your product/service data with infographics instead of old school articles? The standout feature for piktochart has to be their support. They have the most comprehensive resource list out of all these tools and advertise the most support. There’s no way you can lose with Piktochart. Infogram has already had more than 2.5 million inforgraphics made on their website, and yours should be next! They offer 30 different chart types, with a backend spreadsheet that allows you to easily edit your data and alter your charts. No design skills are required to create and you can download your infographics as PNG or PDF for presentations or to send to consumers via e-mail marketing. If you have any trouble you can contact them via their support bar on the side, or reach them via a social media channel such as Skype, FB or Twitter. Wideo is an online video creation tool that allows its users to create, edit and share video for free. The videos are fully animated and are made with their own available images, movement, objects, shapes, audio or text; or you can upload your own images, backgrounds and music. Wideo has been utilized for business, education and just for fun! Either way, animated videos are always fun and if utilized appropriately can be very beneficial for your purpose. Stupeflix, a startup online video creation tool, created in Europe can be used for personal reasons, education, business, and developers. The videos can be up to 20 minutes long and each one comes with a free theme, made and ready for the web with a single click. Standout Stupeflix features are its ability to add maps, custom transitions, add voice-over, set movie pace, individual durations or even slo-mo. Stupeflix does offer a PRO version with an additional fee. What tools do you use? Could you apply some of these tools to your content marketing tasks? Author Bio: Jessica Millis, an aspiring writer and editor. She is working as a freelancer and dreaming to publish her first novel.